I have created a custom list named “Attachments” in the host site and have added multiple items with attachments, now let’s say that we want to “Delete” the attachments on any particular item which we want. I wanted to get the URLs of the list item attachments with delete option so that I could use it in my html. To fetch the Item ID of the list item and bind to dropdown. Once we have selected any Item ID from the list of Item IDs from Dropdown, the attachments of the respective item are shown. Click on X (Delete icon) to Delete the Attachment on the item. Navigate to your SharePoint 2013 site. Edit the page, go to the Insert tab in the Ribbon and click Web Part option. In Web Parts picker area, go to the Media and Content category, select the Script Editor Web Part and press the Add button. 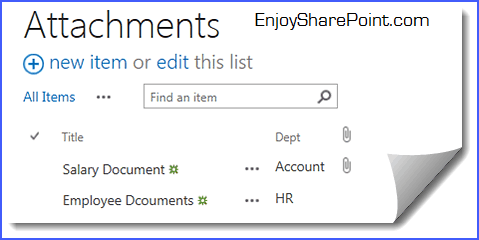 Hope this article will be helpful and you will be able to delete list item attachments using Rest API in SharePoint 2016/2013 or SharePoint Online.